Dieter Hecking is confident of getting another year out of Kevin De Bruyne. The 24-year-old winger inspired his side to victory in the German Supercup on Saturday against Bayern Munich. He missed an open goal in the first half but provided the assist which allowed Nicklas Bendtner to equalise late on. 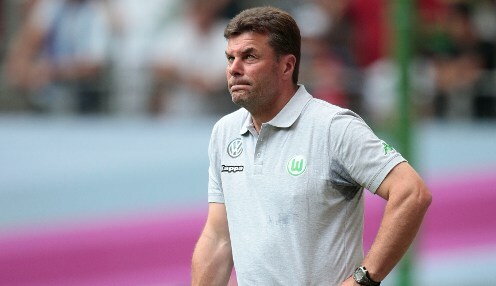 He then netted one of the penalties as Wolfsburg were victorious 5-4 in a shootout. De Bruyne had a role to play in seven of Wolfsburg's 12 shots, which is one of the reasons why the former Chelsea player has attracted interest from City. Despite this, Hecking is confident he can retain the services of the Belgian for at least another year. Hecking told Germany's ZDF: "It would certainly be nice and I think it will happen too. "Kevin showed what he's capable of doing for us this season and we don't want to sell him. "That's our stance and I think a lot would have to happen for him to go. Although you can never tell in football, as his coach I do expect to have him this season." De Bruyne was the Bundesliga's player of the year last season and guided his side to second place in the German top flight as well as to success in the DFB Pokal. They are 1/1 to retain this trophy and 1/1 to secure a top four finish in the Bundesliga once more. They are 1/1 to go one better and claim the title.